This Wednesday, between 12 noon and 4pm, firefighters will be on strike against changes to their pensions. These changes will force firefighters to work beyond the point where they are physically fit, putting their lives and ours at risk. If they refuse to work they risk losing their pensions, and claims that they can go to "back-room" jobs are dubious as most of these were cut long ago in "efficiency savings". 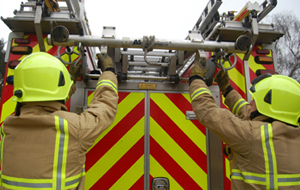 They have invited supporters to visit them at their Rewley Road firestation from noon on Wednesday.